Some IT specialists mistakenly think business leaders cannot govern IT, since they lack technology skills. Understanding the capability IT brings or planning new, improved business capability enabled by smarter, more effective use of IT does not require specialized knowledge of how to design, build, or operate IT systems. A useful metaphor in this sense is the automobile; a driver need not be a designer or a manufacturing engineer to operate a taxi service but must understand the capabilities and requirements of the vehicles used to operate the service. To Govern IT, or Not to Govern IT? Communications of The ACM, February 2015. The problems were never technical. Never. Yes, the technical challenges were often hard but our ability to achieve them had more to do with the managerial environment then the technical environment. Once we sidelined the managers who had been directing the software projects our projects started to deliver on time with good quality. The challenge, I found, was how to translate for more senior management what we could reasonably do and what we could not reasonably do with IT. It was like being the taxi driver in the example above and explaining to the bosses how many people I could pick up and deliver in a day. They always wanted me to do twice as much. They could never understand that a customer might not be ready when I arrived, traffic might vary and the customer might change her mind where she wanted to go. I also needed to periodically fill up with gas and any given gas station might be busy or not. All those factors played a role in how productive I could be as a taxi driver but the senior managers, who drove cars to work everyday, were sure they knew enough about driving to tell me what I could really accomplish. They didn’t. The same applies to the governance or management of IT. I found that once I dug into a new job, for example, and learned what we were doing and what our capabilities were, I naturally knew what we reasonably could and could not do. However, I didn’t know that until I got significant experience under my belt. And that experience is not the same thing as getting a periodic status review or attending a seminar. This reminds me of when I was in the Air Force and we decided that we were not very good at developing software capabilities. We constantly delivered software projects late and buggy. Our brilliant solution? We would outsource our software development to big companies with typically three letter names. They made billions of dollars doing software and so clearly using them would improve our capabilities. So we outsourced to these big companies and used the same people who managed our software development to manage these huge contracts. What do you think happened? Yep, our projects delivered late and buggy. Why? Because we managed the contractors the same way we managed our internal software development organizations. That is to say, poorly. We didn’t understand that the management of the effort was the problem. Instead we assumed our management was just fine but our technical capabilities were subpar. The opposite turned out to be true. Later in my career, I was working in the corporate world and we had the same revelation. We would outsource our software development. I recall one manager saying that if the contractor needed more people to do the work we asked of them they could just go out and hire more. Funny, we had had issues with getting the technical people we needed and I wondered why they thought that the contractor would do any better. The final laugh came when the contractor told us bluntly one day “we can either have all these meetings you call or we can get some work done. Pick.” The humor was that this was exactly what our organic teams had told us for years. The corporate world, I realized, was no better at this management stuff than we had been in the military and government. It all boiled down to understanding what we were doing. Understanding came directly, in my experience, from participating in the activity. 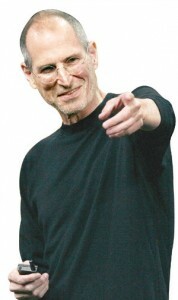 I love the many stories of Steve Jobs. Even as CEO he still had deep insight into technical issues. I would argue that this was because he had worked these kind of issues at all levels as he grew his business. He had the direct experience to manage these issues. Some would argue that he micromanaged such issues, in the negative sense of the word, but he obviously had the experience to do it successfully. Too many senior managers don’t have the direct experience of managing IT. The simple solution is to have a CIO who has that experience and who can help translate the business needs into IT actions. Instead, too many senior managers, again in my experience, who have used PCs, mobile phones, etc., were sure they knew how to manage their use in enterprise IT. Too often, and I would argue the vast majority of the time, they did not. I was working as a project manager in a Fortune 50 high tech company. We were struggling with delivering good quality commercial mass market products when we said we would. Somewhere up in the stratosphere of the organization the notion developed that the senior managers needed to become hands-on managers. What this translated to was at my project reviews I had VPs giving me status reports. Of course they were surrounded by a half dozen technical folks who would whisper in their ear the answer to questions. At the same time this was going on, I was directly helping the VP’s managers improve their planning and estimating of large projects. It was as if we had had a complete organizational inversion. I was telling the VP’s organization of 2000 people how to staff and schedule their projects and the VP was reporting to me how the projects were going. I was now operationally the VP and the VP was now trying to be the project manager. Luckily I had had senior management experience but the VPs were rarely able to be competent project managers and still handle all the other chores of being a VP. The bottom line is that there’s rarely a good substitute for experience, except for getting someone experienced to work with you. This is what good senior managers are known for. I recall Yahoo CEO Marissa Mayer saying that she had been successful because she was an Olympic champion at finding good people to work for her. Getting good people who are competent and do the right thing is both hard and the key to managing things we don’t understand well. Just understanding this is the first step to being able to do it. What are you doing to ensure that you have the experienced people you need to help you effectively manage your projects or govern your organization?